Chatir Fouad! 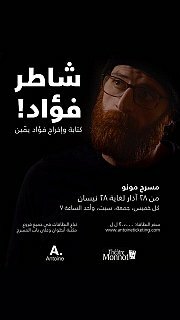 - A play by Fouad Yammine شاطر فؤاد! 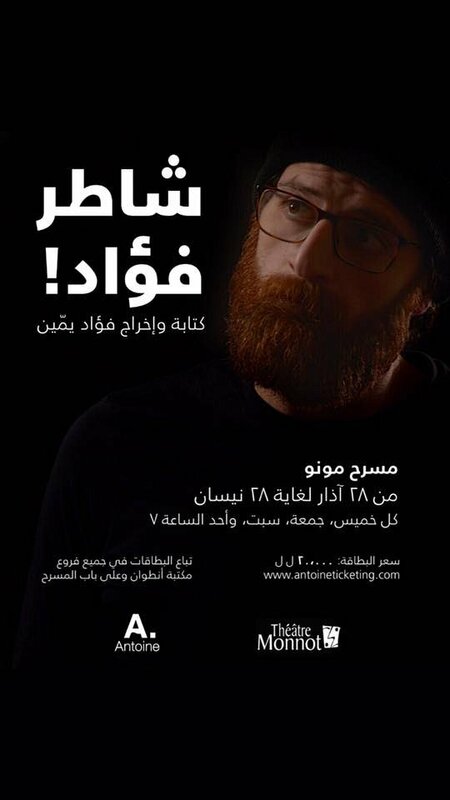 Tickets at 20 000 LL available at the door and in Librairie Antoine. Seats are limited as the play will happen in the small room of Theatre Monnot.